emt Distribution holds, exhibits, presents, sponsors and attends many IT Security industry events throughout the year. emt Distribution is excited to be exhibiting at AUSCERT 2019 with multiple vendors on multiple stands, including Flashpoint, ThreatConnect, VMRay, Thycotic and Airlock. emt’s main focus will the Top 4 strategies in the ACSC’s Essential 8, and also Threat intelligence, analysis, orchestration and response. Join us at the main emt booth(P37) to learn about how ThreatConnect, Flashpoint, and VMRay can work together for integrated business risk intelligence and comprehensive threat management. Visit Thycotic to learn more about Privileged Account Management and Airlock to see Application Whitelisting built for Australian requirements. emt Distribution attended and had a chance to support our vendors and also Australian delegations at RSA 2019. This year, emt distribution has three stands at ACSC event in Canberra. Thycotic, OPSWAT and AIRLOCK Digital will all be represented. Tom Mullen, from OPSWAT, will also be presenting on the best practices for securing critical/regulated infrastructures within the U.S. We have stands, 51,50 and 49 to make it easy for all attendees to learn more about Privileged Account Management, Multi Malware/Vulnerability and Content Disarm and Reconstruct Technology and Application Whitelisting built for Australian requirements. Join us and discover how these three vendors address multiple controls within the ISM, why they excel at what they do and how they can help mitigate cyber security risks for your organisation. Thycotic and emt exhibited at the free to attend SplunkLive! Australia in Canberra. Splunk customers and people seeking to gain greater data insights learned how Thycotic integration gives them all the power they need to see trending, utilisation, behaviour and more as it pertains to privileged accounts. You’ll also learn how to mitigate the risks associated with privileged accounts and protect your organisation from targeted attacks. emt Distribution exhibited at the AISA National Conference 2017 with multiple vendors on multiple stands, including Thycotic, Flexera, Acunetix and Airlock Digital. This was an absolute must attend event as an AISA member. We demonstrated how Application Whitelisting, Patch Management, Web and Network Vulnerability Management and Privileged Account Management cover an incredible array of attack vectors and surfaces, narrowing the window of opportunity malicious actors have to breach your organisation. Thycotic exhibited and spoke at Navigate ’17, SailPoint’s Identity Governance Conference in Sydney. As SailPoint and Thycotic are Technology partners, Thycotic will showcased its Privileged Account Management solution and how this is a critical component in Identity Management. Thycotic and emt Distribution exhibited at the Gartner Security and Risk Management Summit in Sydney in August 2017. Attendees learned how Privileged Account Management is a top 4 priority for mitigating the risk of cyber security incidents and data breaches. Thycotic and emt Distribution held a partner event at Melbourne’s Crown Casino. Our partners learned how a company can best protect its crown jewels! emt Distribution took both Thycotic and Flexera to the 16th Annual AusCERT Cyber Security Conference in 2017 with two exhibition stands. Covering Privileged Account Management, Application Control and Patch Management for both Operating Systems and Applications, emt covered a big slice of the ASD’s top 4 mitigation strategies. Daniel Schell also gave a speech on what Auditors look for as it pertains to the Top 4 in one of the many presentation sessions. The presentation was extremely informative, engaging and well received by those who attended. Thycotic and emt Distribution exhibited at BrisSEC2017 at the Sofitel Brisbane. AISA members and security professionals could NOT be kept away from the event with the theme being Ubiquitous Security. Even Cyclone Debbie didn’t get in the way of the event and chance to stay on top of security trends, industry discussions, and how the digitisation of just about everything impacts the way security professionals need to adapt. Thycotic via emt distribution was a sponsor and exhibitor at both the Perth and Adelaide Data#3 Juice IT events, brining Privileged Account Management to the front with Data#3 clients. Data#3 have now held 9 consecutive JuiceIT events attracting over 1500 attendees. emt Distribution were invited to attended Microsoft Ignite 2017 by Flexera Software on Stand 40.
emt Distribution will be exhibiting our vendor portfolio at the emt Distribution stand at the AISA National Conference 2016. Data Leakage and or theft can happen at any moment in time – make sure you have the knowledge and solutions to effectively prevent and deal with data leakage or theft for your customers. Representatives from emt Distribution will be travelling to Blackhat and DefCon events in Las Vegas to meet with our existing vendors and new potential partners. Interested in meeting us face to face while we are in the US? Contact us to arrange a meeting. Where: Blackhat and DefCon conventions, Las Vegas, USA. 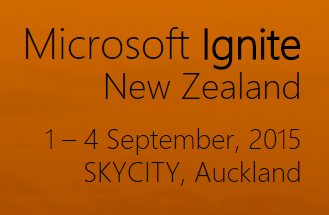 emt Distribution will be exhibiting our vendor portfolio at the emt Distribution stand at the AISA National Conference 2015.
emt Distribution will be exhibiting at the Secunia stand at Microsoft Ignite, New Zealand, 2015.
emt Distribution will be exhibiting at the Acunetix stand (N11) at CeBit Sydney 2015. Now in its 14th year, it continues to be the only business technology event platform that brings business, government and the industry together. 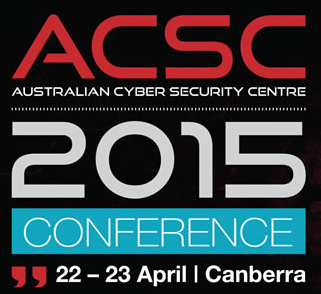 The Australian Cyber Security Centre (ACSC) will be hosting its first cyber security conference in 2015. Over 700 attendees from the national and international ICT community are expected to attend. Visit us in the exhibition hall. We’ll be representing Secunia (Booth 13) and Airlock Digital (Booth 11). 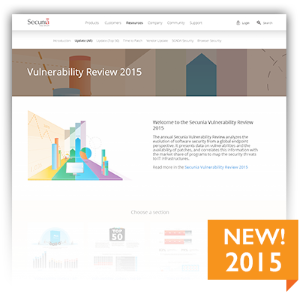 Secunia’s vulnerability research experts will shortly be launching the annual Secunia Vulnerability Review 2015. On Secunia.com you can find a lot of the results explained in the Vulnerability Review, including how many vulnerabilities were discovered in 2014 and how quick the vendors were to publish patches for them. Sign up here to receive the report when it is released.